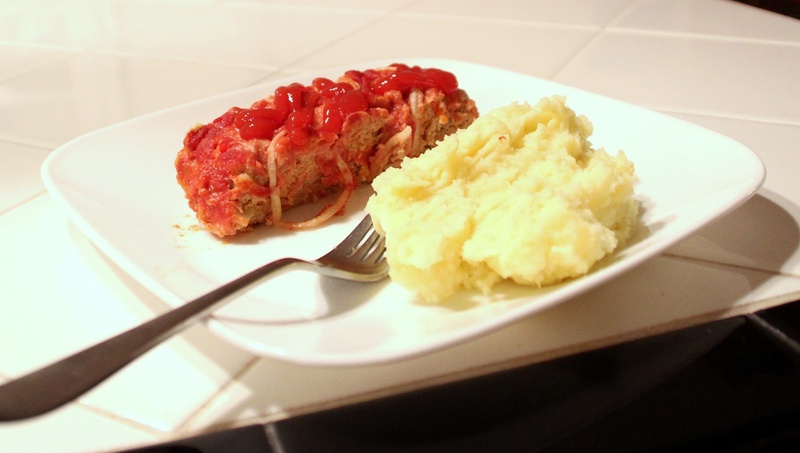 healthy turkey meatloaf (you won’t even miss the beef!) | Vim & Vintage - design. life. style. Hola friends. The other day I made this treasure for dinner. It’s been a favorite in our household since I saw it on the Today Show a few years back. The best part is that it’s pretty healthy – only 205 calories and 3.5 grams of fat per slice! Gather your ingredients and preheat the oven to 350 degrees. Thinly slice about a 1/4 to 1/3 of the onion into rings, and set aside. 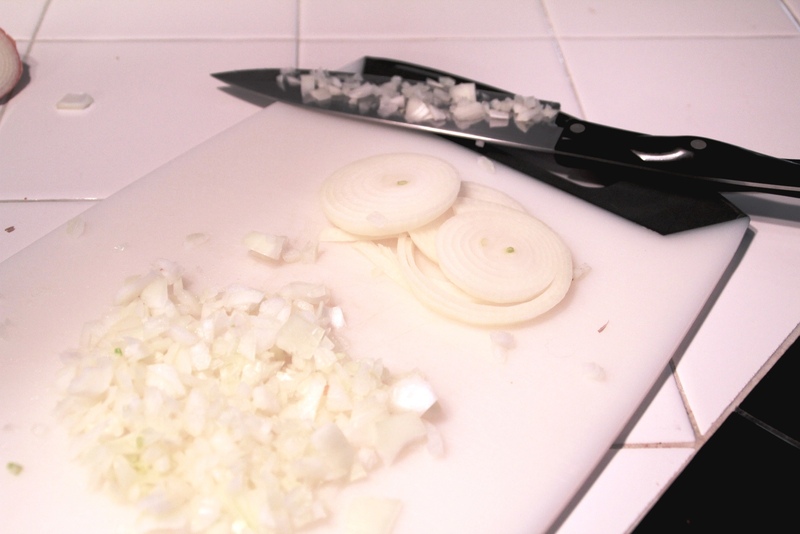 Finely chop the remainder of the onion. 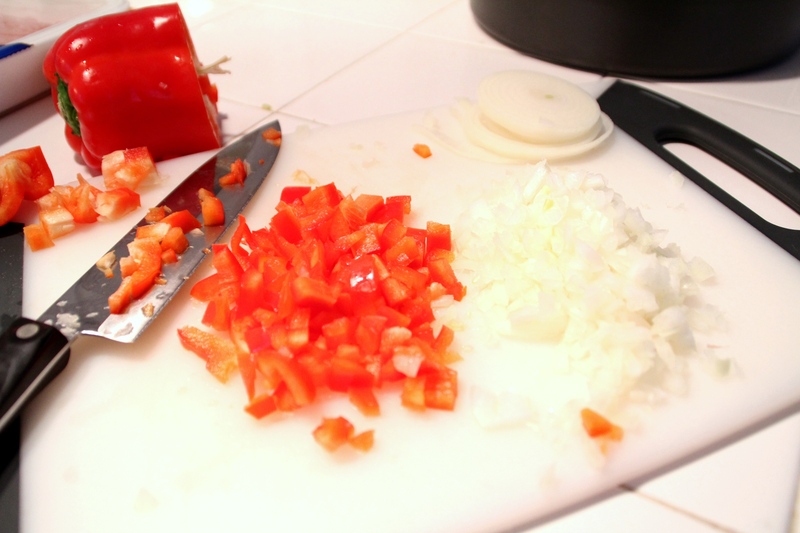 Then chop your red pepper. 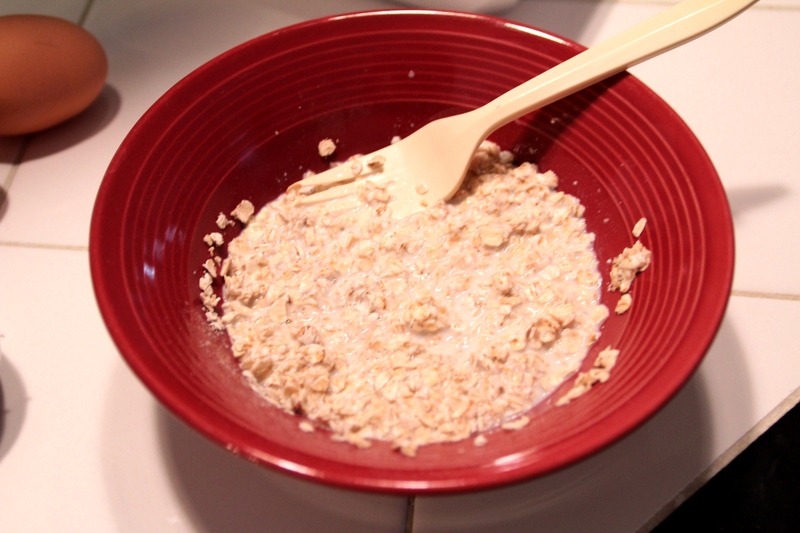 Mix your oats and milk in a small bowl. Let sit for a few minutes. 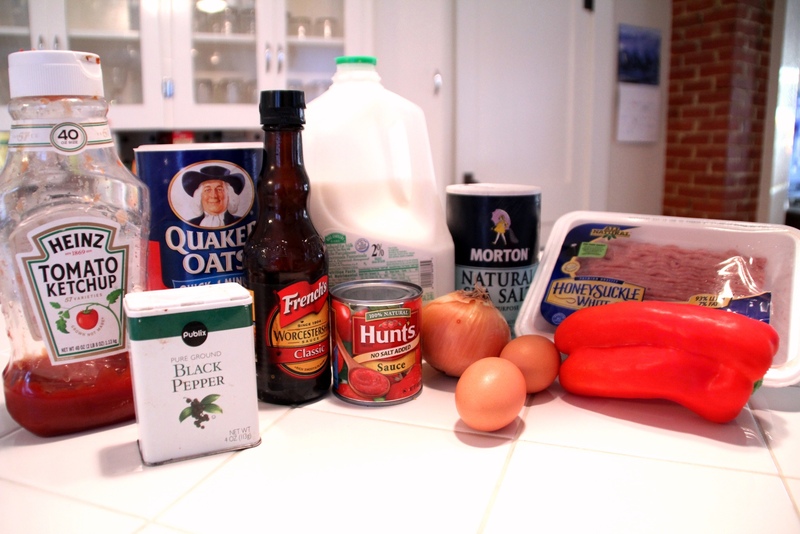 Combine the milk-oats mixture, eggs, gr. 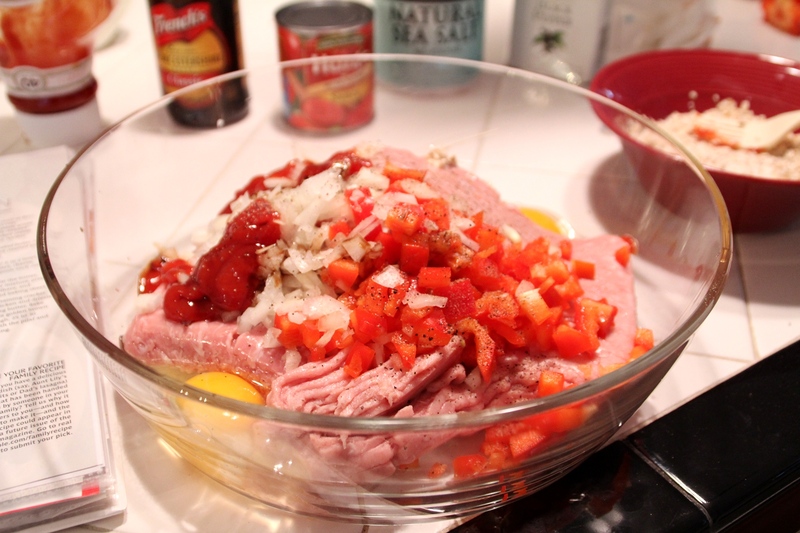 turkey, veggies, ketchup, salt, pepper, and Worcestershire sauce into a large bowl. 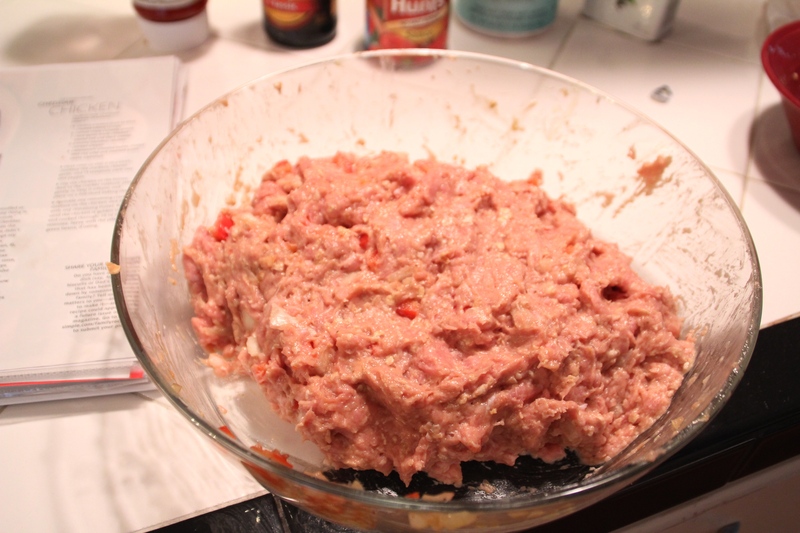 Now transfer your giant meatball into a 9 x 13 baking dish. Form into a log that is about 5″ wide by 2″ high. 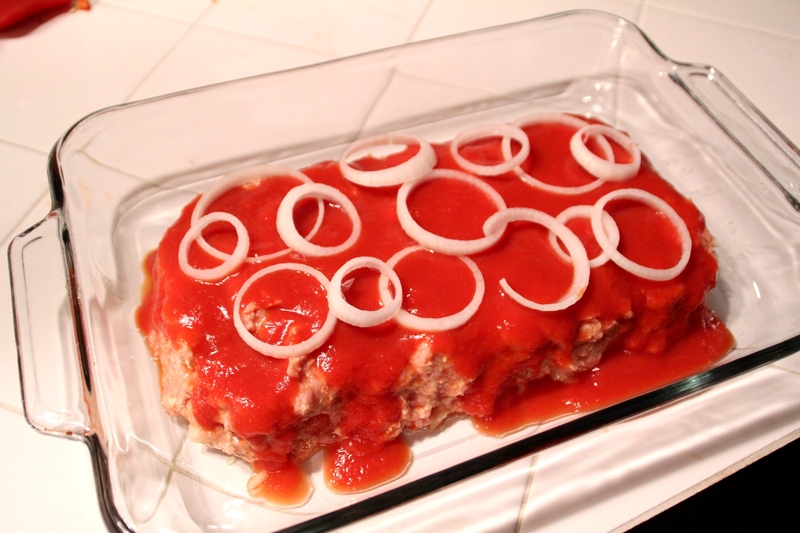 Top with tomato sauce and onion. Fact: putting the little onion rings on top is my favorite part (yes I’m a huge dork). Bake at 350 degrees for about an hour to an hour and a 1/2. Thermometer should read 160 in the middle of the loaf. 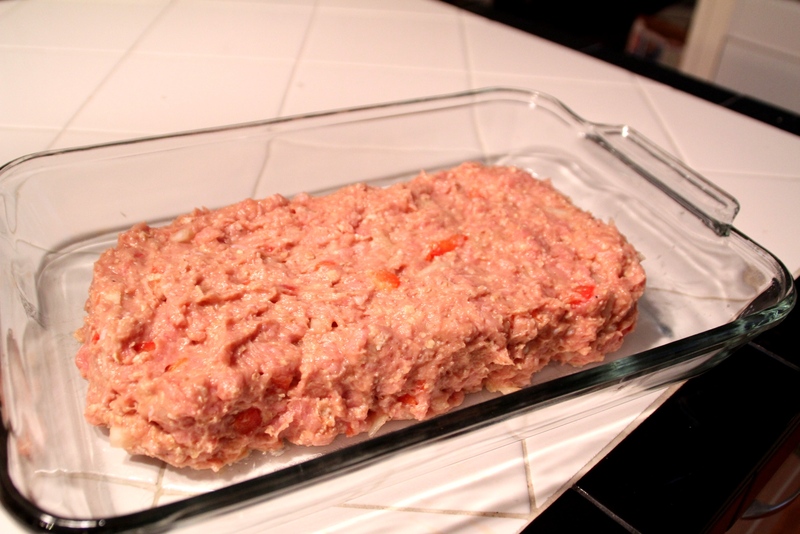 Remove from the oven and let sit for 10-15 minutes before slicing. Serve with your favorite side of veggies! Hope you enjoy! !